Few manufacturers in audio have as rich a history as Tannoy. Though founded by Guy Fountain in 1926 to exploit a solid state rectifier he invented, for sake of audio discussion, Tannoy really entered the scene in sound reproduction in the 1940’s, with the invention and introduction of the Dual Concentric loudspeaker driver, a woofer/midrange with a coaxially mounted tweeter. The tweeter is mounted behind where you would normally expect to have a traditional cone driver’s dust cap to cover the voice coil. This creates a single point source supposedly which is phase coherent, a trait that is not easily accomplished in many multi-driver dynamic speaker systems and which has been something of a holy grail since Jon Dahlquist raised the audiophile public consciousness on the merits of phase coherence back in the 1970’s. When I was approached by Constantine Soo to review a pair of Tannoy speakers, I agreed with some level of trepidation. Having seen and heard plenty of the old fashioned Tannoy’s in years past, I had a sense of what I may be getting myself into in terms of historical significance, sonic characteristics, and their place in the annals of British audio establishment. I had not even seen the newer generation Tannoy speakers, let alone heard them, so I was more than a tad curious. The pair of Tannoy Definition Series DC10T arrived while I was out of town on business. I had not had the time to look them up on the web, so I really had no notion as to what was coming. I must say that I was more than delighted when I got home, busted open the boxes and had my first gander at these 2011-style Tannoy’s. Yes, they are real lookers. I ’m a sucker for a shapely, beautifully finished wood cabinet and the Tannoy DC10T’s are about as nice as they get. The nicely rounded high gloss cherry finished cabinet is fresh, modern, and less formal in look than the furniture-like Tannoys of the past. Yes, the DC10T’s are fairly big towers, but I believe that Tannoy has made great strides in giving their speakers a higher WAF (or SOAF as the case may be) than the previous huge pieces of furniture I recall in the distant past. The Tannoy DC10T’s are also available in high gloss black and in high gloss dark walnut. Today’s modernized Tannoy speakers are certainly not the Tannoy’s of old. Tannoy continues developing and advancing the Dual Concentric technology that was pioneered so long ago. 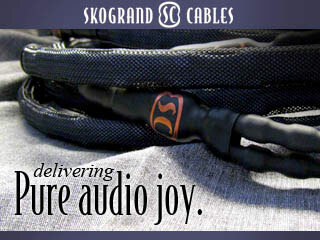 Their latest Dual Concentric drivers offer wider frequency bandwidth and greater dynamic range than previous generations’, and such modern high-end design details as deep cryogenically treated crossover components and internal wiring, silver plated copper conductors, beefy WBT electro-plated brass speaker binding posts, and a hand finished structurally rigid cabinet design. Tannoy’s Dual Concentric speakers are found extensively in professional studio applications, theater and sound reinforcement applications, and of course, the in-home two-channel stereo and home theater applications. The Tannoy Definition Series represents the latest technology and design efforts from Tannoy that is specifically designed and executed for a home stereo environment. The Definition Series includes the models DC8, DC8T, and the top of the line DC10T. The DC10T sports a 10” woofer as well as Tannoy’s latest 10” dual concentric driver that utilizes their new 1” titanium dome wideband tweeter. There is also a center channel for the Definition range. The speakers arrived already having some use and were said to be partially broken-in. I therefore decided to place them in my main system right out of the box and have a listen. When wiring up the DC10T, I came upon what looked like an odd number of binding posts. It turns out that these speakers are equipped with a facility to electrically ground the internal driver chassis, a feature I had not previously encountered. According to the DC10T’s documentation, the “…fifth speaker terminal electrically grounds the driver chassis, dramatically reducing radio frequency interference circulating in most hi-fi audio systems. Eliminating this RF ‘noise’ in Definition reaps considerable benefits in midrange clarity and further opens up the soundstage throughout the presence region for truly expressive music presentation.” I must say that toward the tail end of the review period I electrically grounded the speakers as suggested in the Tannoy manual and did not identify any audible change in the sound. I suppose this is quite system-dependent. My system is currently run fully balanced and I had my four dedicated power circuits in the room all run to a dedicated ground separate from the rest of the house’s wiring when my home was constructed. The DC10T’s driver complement features a 10” woofer that is vented and gradually crosses over at a fairly low 200 Hz. Operating full range, the midrange driver in the Dual Concentric speaker runs in tandem with the bass driver. The 1” titanium tweeter driver in the dual concentric speaker comes in via a steep 2nd order crossover at 1,400 Hz. I initially positioned the DC10T’s as far apart as possible in my sound room, three feet from the adjacent walls and five feet from the front walls. The speakers were toed-in rather dramatically, which is not recommended by the manufacturer, in order to have the tweeter approximately on axis with the listening position. My initial listening session indicated that the speaker probably needed some level of breaking-in. The midrange was a bit dry and forward and bass was constrained and lacking in detail. I ran the speakers in at a very healthy volume with my break-in CD for roughly 100 hours over the next couple of weeks. During that period of time I had some short listening sessions to evaluate if there were changes occurring and indeed, there was significant progress. The drivers definitely needed to have their spiders and surrounds worked in and I’m sure the polypropylene capacitors utilized in the crossovers also benefitted from some run in time in order to fully form. Once comfortable with the fact that the speakers were fully broken-in, I began to experiment with speaker placement. Having the DC-10T’s too close to the front walls resulted in a rather diffuse and somewhat muddied bass which overpowered the balance of the speaker. For that reason I settled on a distance of just under six feet from the front. Since the Tannoy DC-10T’s have the coaxial Dual Concentric driver, I assumed that optimal response and imaging would be accomplished by having the driver as close to on-axis as possible with the listening position. Emphasis must again be given here that it is not a recommendation made by the manufacturer. This proved to be a correct assumption for my system. However, that left the task of optimizing the physical distance between the speakers and the severity of the angle of toe-in required to meet the above mentioned parameter. This led to some very interesting play time. Proximity to the side walls did not seem to faze the Tannoys much at all in terms of response. However, the further apart they were placed, the wider the image became irrespective of the fact that the severity of the toe-in was also increased with the distance. I therefore needed to make a judgment call as to which image sounded “right” to me. The final outcome was a distance of eight feet between the speakers, with a seating distance 10 feet away from their horizontal position. The speakers were toed-in accordingly so as to achieve on-axis positioning of the concentric driver. I adhered to this position throughout the remainder of the review period.